The Federal Reserve has raised interest rates over the past two years, but the biggest Wall Street banks are holding the line on the rates they pay depositors. As a result the banks have kept the extra income for themselves, benefiting executives, employees and shareholders at the expense of retirees and other ordinary savers. As U.S. interest rates rise, savers are getting the shaft. The Federal Reserve has raised interest rates by 1.25 percentage points in just over two years, the first hiking cycle since the central bank cut its target to nearly zero in the aftermath of the 2008 financial crisis. During that time big banks like Action Alerts Plus holding JPMorgan Chase & Co. (JPM - Get Report) , Bank of America Corp. (BAC - Get Report) , Citigroup Inc. (C - Get Report) and Wells Fargo & Co. (WFC - Get Report) have barely increased the rates they pay to regular depositors. JPMorgan, the biggest U.S. bank, has raised its average deposit rate by just 0.21 of a percentage point since 2015's third quarter, before the Fed rate hikes began. And the company has profited handsomely, by socking many of those deposits away in its own bank accounts, where the interest rates jumped by 0.84 of a percentage point, according to the New York-based firm's financial disclosures. The trend is so remarkable that analysts at Goldman Sachs Group Inc. (GS - Get Report) , a rival Wall Street firm with a comparatively tiny banking franchise, published a report on the matter earlier this month, noting that rates on savings were "virtually untouched" in 2017, even as banks charged fatter payments on loans and other assets whose rates jumped along with the Fed's increases. Consequently, a decade after the 2008 crisis, retirees and others who shun stocks and choose less volatile, government-insured savings accounts at big banks are still getting meager returns. "Some of the big banks literally have not moved deposit yields higher at any time during this cycle of Fed rate hikes," said Greg McBride, the chief financial analyst at BankRate.com, which tracks the savings and lending industry. According to the Goldman researchers, none of the Fed's three rate hikes totaling 0.75 of a percentage point were passed along to savers at JPMorgan, Bank of America and Wells Fargo. Citigroup passed along a mere 4% of the rate increases - implying an increase of just 0.03 of a percentage point. Shareholders in big U.S. banks are "not to worry," Goldman wrote in the Jan. 8 reports. "Large banks are still raising cheap funds." The deposit dynamic is partly of the Fed's own making: In the aftermath of the crisis, it swamped financial markets with almost $4 trillion of freshly minted cash, while agreeing to pay interest to banks for simply leaving the money in their own deposit accounts at the central bank. The slow pace of deposit-rate increases could trigger debate about industry competition and the banks' market power, to the extent that it allows them to dictate terms with little or no loss of customers. The pattern also raises questions about what moral obligation, if any, the big banks have to savers after they got multibillion-dollar bailouts from the U.S. Treasury Department during the financial crisis, not to mention hundreds of billions of dollars more in secret emergency loans from the Federal Reserve. The current Fed rate-hiking cycle is the first since a wave of financial crisis mergers and accompanying concentration of scale. As the financial crisis roiled markets, JPMorgan bought the giant thrift Washington Mutual, while Wells Fargo acquired Wachovia and Bank of America swallowed Merrill Lynch - at the time a large bank in its own right due to the bevy of deposits collected from brokerage customers. Wall Street's recent stinginess on deposits contrasts with the behavior of small and online banks, which have boosted rates much faster. According to Goldman, online banks such as CIT Group Inc. (CIT - Get Report) , American Express Co. (AXP - Get Report) and Discover Financial Services (DFS - Get Report) have already passed along an average 70% of the Fed's December rate increase to customers in the form of higher deposit rates. "The banks that have not increased deposit payouts are the biggest banks," BankRate's McBride said. "They have so much built-in pricing power." The average rate nationally on savings accounts is now about 0.06%, according to the Federal Deposit Insurance Corp. That's exactly where the figure stood in September 2015, before the Fed's rate-hiking cycle began. Bank executives generically blame "the market" for their lack of deposit-rate increases, arguing they don't need to pay more unless a major competitor makes the first move. Another explanation is that customer demand for deposits is lackluster at best. Yet they acknowledge increasing deposit rates for their best customers: big corporations that also are a major source of fees from other transactions like wiring money, loans, debt underwriting, securities trading and cross-border finance. What's more, corporate treasurers who oversee their companies' working-cash accounts are eagle-eyed about rates, so they constantly shop around for the best deal, the bank executives say. The gap between Fed rate hikes and deposit increases is so closely watched in the financial industry that bankers and investors have a metric to analyze it: "deposit betas," calculated as the proportion of Fed rate hikes passed along to savers. If the banks pass along the entire increase, the deposit beta is 100%; if they pass along half, it's 50%. Deposits are crucial. The banks rely on them to fund loans, rather than borrowing cash at higher rates in global bond markets or raising money by selling stock - a move that dilutes shareholder returns. Add it all up, and the longer big banks keep deposit rates low, the more profit they'll make. JPMorgan's company-wide fourth-quarter deposit rate averaged 0.35%, up from 0.14% in the third quarter of 2015, just before the Fed began raising rates. The Fed, by comparison, now pays 1.5% in interest on the banks' own deposits. Before a federal policy change following the 2008 crisis, banks weren't allowed to collect any interest from parking cash at the central bank. 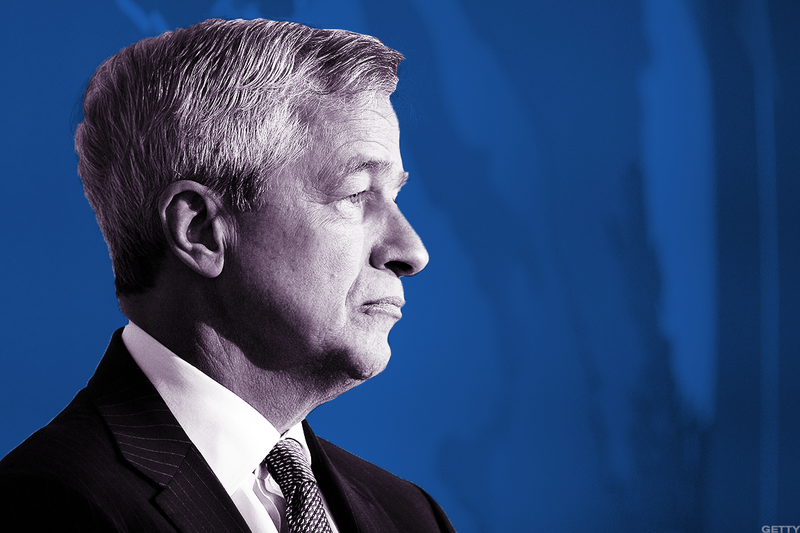 Partly as a result, JPMorgan's net interest income - the difference between what it makes on loans and other interest-earning assets and what it pays out on deposits and other borrowings - jumped to $50.1 billion in 2017 or a 15% increase from 2015 levels. For "retail, checking and core savings, there's been little to no movement" on deposit rates, Marianne Lake, JPMorgan's chief financial officer, confirmed to bank-stock analysts this month on a conference call. She signaled that regular depositors might again see little improvement in 2018 on their savings rate, at least relative to the Fed's expected rate increases of 0.5 percentage point to 1 percentage point. "My expectation, just given where we are, in the absolute level of rates, is that on the retail space, we would still see a lot of discipline," Lake told the analysts. According to BankRate's McBride, online and smaller banks have been forced to pay higher rates to attract deposits, partly because they don't have the large branch and ATM networks of the biggest banks. "They don't have a branch on every corner, ATMs everywhere and their name on the stadium," he said. "You're not going to be able to out-market the big banks, so you pay a higher rate on deposits and compete that way." Indeed, Bank of America CEO Brian Moynihan explained away his company's tightfistedness on deposit rates by pointing out the wide array of services and convenience that customers get from their savings accounts. There's also been an increase in average checking-account balances, which have always paid little to no interest, he noted. "A lot of people focus on the one aspect of it and try to isolate it, but it's actually a very integrated business," Moynihan said. Citigroup CFO John Gerspach told reporters on a conference call this month that the low deposit rates were "a reflection of the state of competition." The New York-based bank, which has extensive international operations beyond those in the U.S., increased its average deposit rate by just 0.19 percentage point last year to 0.94%. JPMorgan Chase CEO Jamie Dimon. "Given deposit rates have been largely unchanged following the December 2017 hike, strong industry deposit growth suggests larger banks continue to have little problem raising cheap funds," the Goldman analysts wrote. Executives at Wells Fargo, still reeling from a series of scandals involving alleged customer abuses, including the fabrication of millions of unauthorized accounts, told investors earlier this month on a conference call that "the market hasn't made changes to the rates paid on consumer and small-business banking deposits, and neither have we." Among the biggest banks, Wells Fargo has skimped the most, with an average deposit rate that's climbed just 0.16 percentage point since the third quarter of 2015, to 0.28% in the most-recent quarter. "We're competing upon the value of the relationship and the convenience and the service we can provide," Sloan said. "So we're not just competing on price." Things could change in 2018 if the recently-passed U.S. tax cuts translate to faster economic growth, in turn driving up demand for loans, Sloan said. At that point, banks might need more funds to make the loans, spurring greater competition among the biggest financial institutions for deposits. For now, he said, "we don't think that we have to do much." Ken Tumin, founding editor of the website DepositAccounts.com, says that the average online savings account now yields six times the average rate from bricks-and-mortar banks. That difference, though, might still be too paltry for some savers to spend the time switching banks, he said. For customers with $5,000 in their accounts, for example, an extra yield of 1% works out to just $50. It would make more sense for accounts with $50,000, since the extra money would equal $500, he said. "A lot of people who don't have that significant of an amount in their savings accounts are not going to be that interested in moving their money," Tumin said. According to McBride, the increase in deposit rates since the Fed started raising rates in late 2015 has lagged far behind the pace of prior hiking cycles. In the past, top-yielding accounts had a one-to-one correlation with the Fed's increases, he said; now, even the top payers have a correlation of about 0.5. What's more, many banks used to raise rates even before the Fed officially announced any increase - to make sure they didn't miss out or fall behind competitors. The recent trend is "atypical, in that not only are we not seeing deposit yields go up as we have in the past, but the increases that we are seeing tend to be reactionary rather than anticipatory," McBride said. "And even afterward, the increases have been comparatively modest."